Seosan is an area preserved in time. 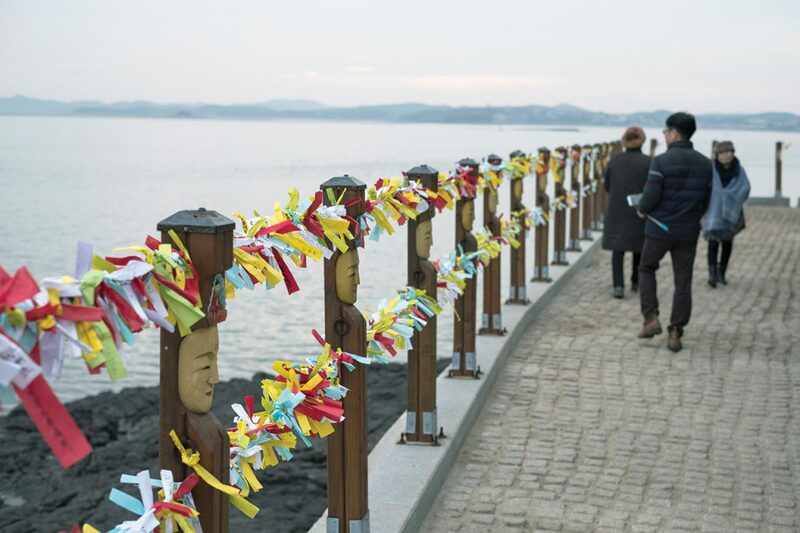 Located about two hours south of Seoul along the western coast of Korea, it boasts a relatively quiet pace of life. 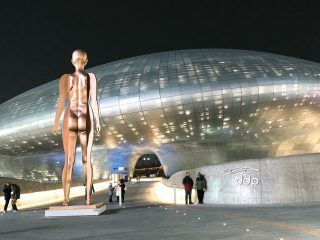 While not one of Korea’s largest urban centers, the town boasts hidden places that make it unique and, more to the point, a great place to visit. 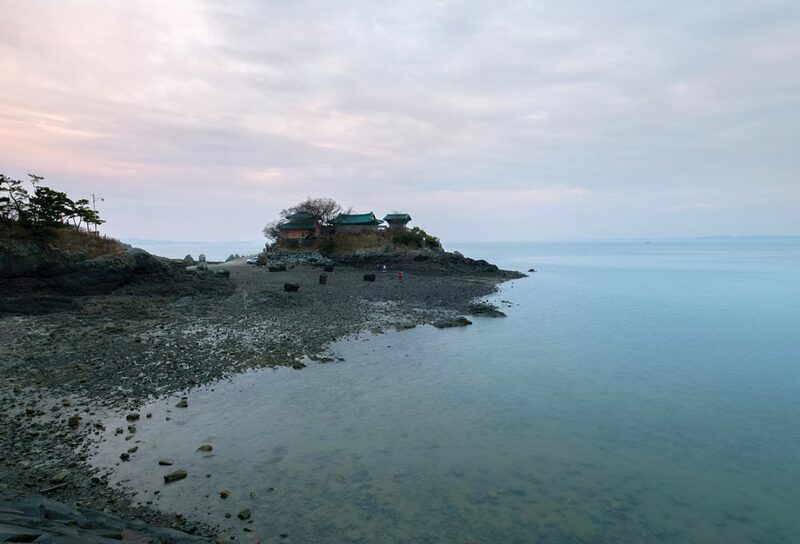 Seosan offers a number of historical sites, some beautiful mountains and seascape scenery. It’s a beautiful area no matter what season you find yourself there. Those that are really adventurous can enjoy a night in the local temple. Located right next to the city, Seogwangsa Temple offers visitors a local Buddhist experience. Participants can practice meditation, chanting and lotus lantern making through this opportunity to experience what it is like to be a Buddhist monk. This temple is nestled in a grove of pine trees and offers a tranquil and serene place to relax. 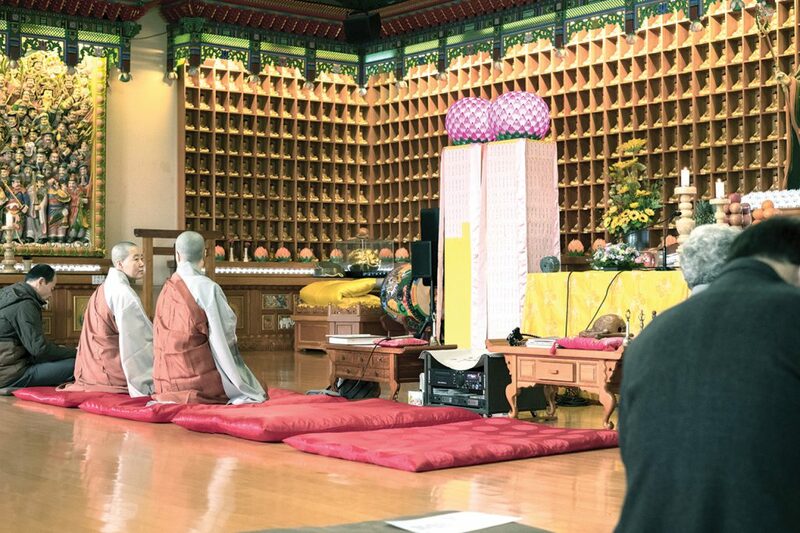 There are two different temple stay options available: experiential temple stay and Seosan tour temple stay. 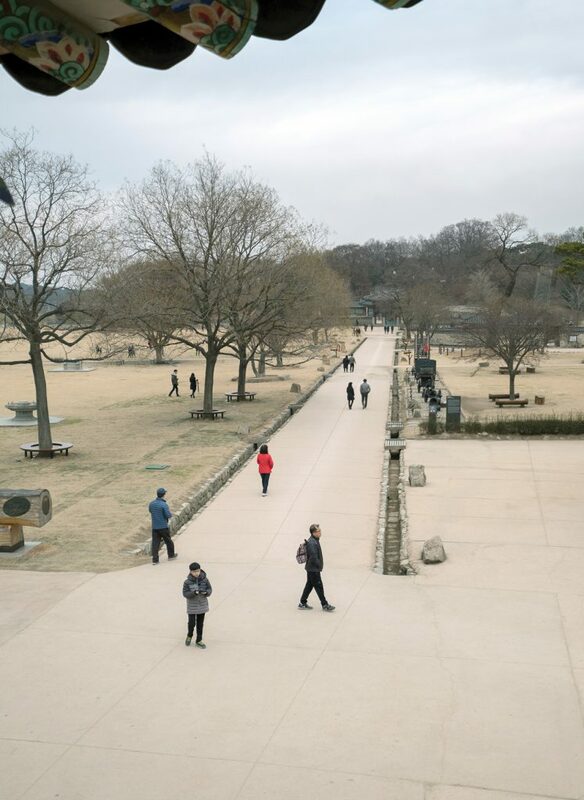 The Seosan tour takes you to a few different historical sites around the area while the experiential stay is conducted on-site. This is a great way to get immersed in the culture and experience a different part of Korean life. 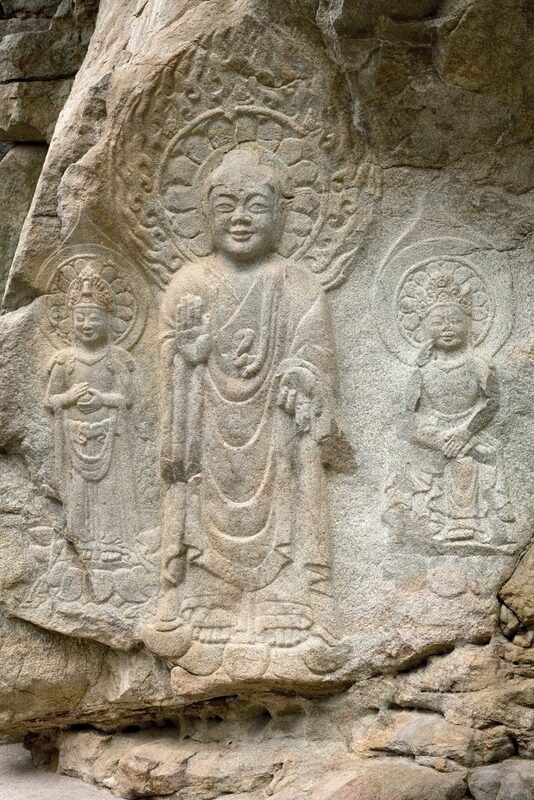 Burrowed into the side of a mountain about a 20 minutes’ drive east from Seosan, the rock-carved Triad Buddha of Yongheon-ri is one of Korea’s best loved Buddhist reliefs. As you walk up the steep steps to the cliff out of which the relief has been carved, you are greeted with the smiles of the Triad Buddha. Standing at 2.8 meters tall, the Bodhisattva wears what art historians call “the Baekje smile,” an enigmatic smile common in the sculpture of the Baekje Kingdom, the most culturally sophisticated of the so-called Three Kingdoms that ruled ancient Korea. The smile takes on different aspects depending on the direction of light. The sculpture is a masterpiece of detail and craftsmanship. Gaesimsa is one of the four largest Buddhist temples in Chungcheongnam-do. It’s a remarkably beautiful spot, located on the thickly wooded slopes of remote Mt. Sangwangsan. The monastery features some spectacular woodwork, with curved tree trunks serving as columns and other architectural elements. Built in 1484, the temple’s main hall harmoniously employs two kinds of bracketing systems, the columnar bracketing system more commonly employed during the Goryeo Dynasty and the multi-bracketing system more typical of the Joseon Dynasty. The government has designated the main hall and some of the temple’s artwork as protected national treasures. A long winding path leads up to the temple buildings. It’s a bit of a hike to the temple, and during springtime the cherry trees make for a spectacular view along the path. This is a nice stop between the Triad Buddha and Haemieupseong Fortress. Located further south is Haemieupseong Fortress. 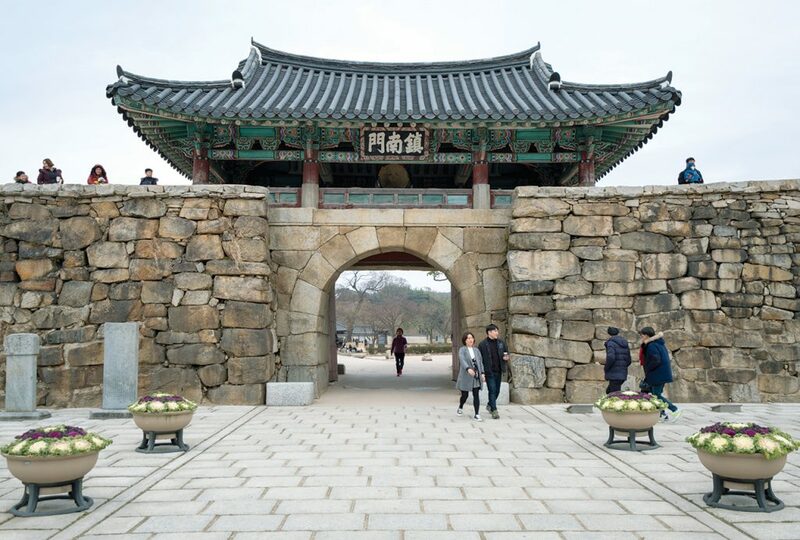 Constructed around 600 years ago, the site is one of Korea’s best-preserved series of town walls. At various times, the commander-in-chief of Chungcheongdo Province and Korean war hero Admiral Yi-Sun-sin lived within its walls. The fortress is best known, however, as the site where nearly 1,000 Catholics were executed when the royal government launched a brutal persecution of the faith in 1866. A large Catholic shrine, complete with martyrs’ relics, is located a short walk from the walls. With the mountains as a backdrop, the massive fortress offers an enjoyable place to play, fly kites or just relax. There are many buildings inside that you can explore to learn more about the history of this walled town. After spending a few hours wandering the site, make sure you check out one of the many coffee shops around the area to rest and recharge. Closer to the coast, a special place of interest is Ganworam, a small Buddhist hermitage built on a small tidal island. Like the famous monastery of Mont Saint-Michel in northern France, the hermitage is connected to the shore by a causeway at low tide but is isolated by water during the high tide. Surrounded by mountains, this place offers a spectacular view of the ocean, especially at night, when the moon reflects off the water. It’s especially beautiful at sunset, when the sea mirrors the red skies above. You need to time your visit right, though. If you go at low tide, you can walk along the natural path to the hermitage and enjoy the temple. Otherwise, you can enjoy the view from shore. This area is also renowned as a stop for the many migrating birds. During migration season, you can enjoy watching the flocks of birds and even go on a migratory bird tour at the nearby bird sancturary. A trip to the Ganworam Hermitage wouldn’t be complete without trying some of the seaside’s famous oysters. The local outdoor markets sells oysters raw or fermented in sauce (eori guljeot) and packed in jars. You can watch as the women sit next their stands and crack open the oyster shells with handmade pick tools. They’ll offer you a free sample along with some different sauces to try. 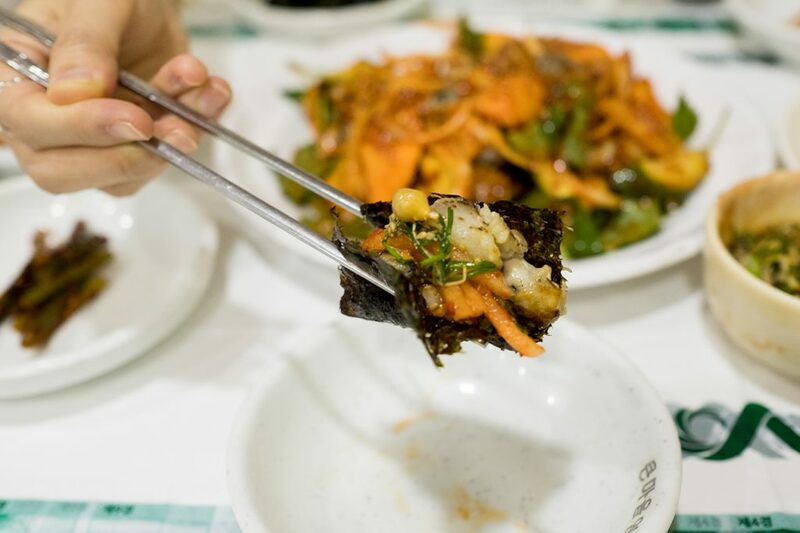 Just down the street is a bustling, family-owned restaurant named Keunmaeul (큰마을 영양굴밥). They specialize in several different oyster dishes. Mr. Kim, the proprietor of the establishment, highly recommended trying the steamed rice and oysters, or gulbap; the spicy raw oyster salad, or gulhoemuchim; and the oyster fried pancake, or gulpajeon. Once the dishes come out, he’ll mix the gulbap and show you how to wrap it in seaweed. STAY> Seogwangsa Temple: For more information and to set up your temple stay, call 041-664-2001 or visit http://seogwangsa.or.kr. If a temple stay is not your style, there are also many modern motels in downtown Seosan. EAT> This area is famous for its oysters. 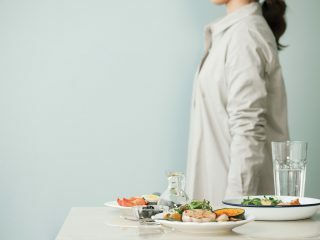 There are many different restaurants that offer seafood dishes along the coast. 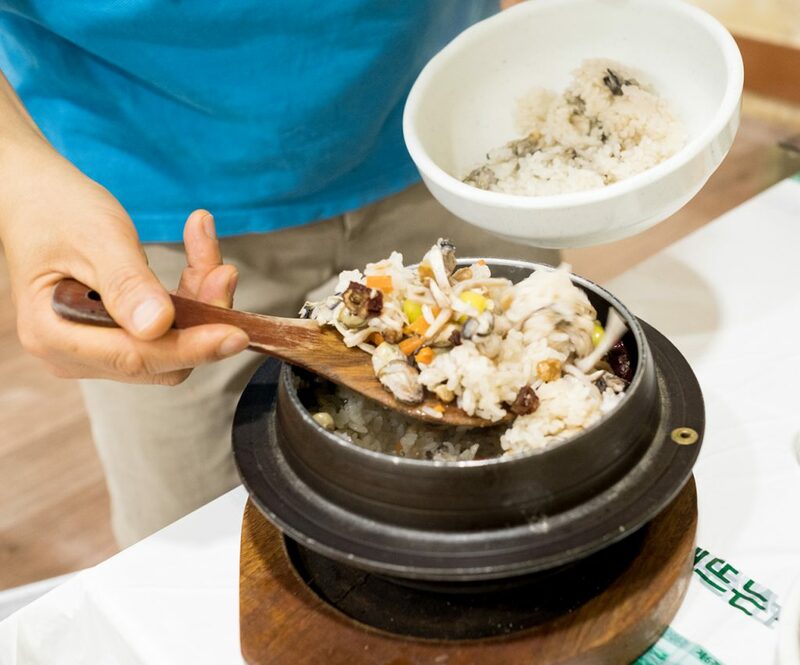 A good family-friendly restaurant is Keunmaeul, just up the road from Ganworam Hermitage. You can make a reservation or check for hours by calling T. 041-662-2706 (Korean only). GO> Buses for Seosan depart from Central City Bus Terminal (travel time: 1 hour, 50 minutes).